Shoppers can save 40% on The Body Shop products and get a free gift with a $60 online purchase. 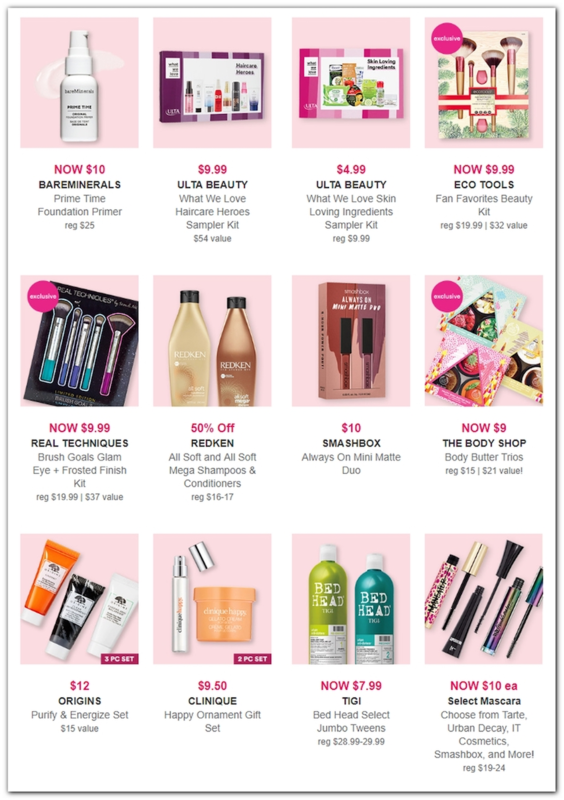 Ulta has unveiled its 12-page 2018 Black Friday ad! 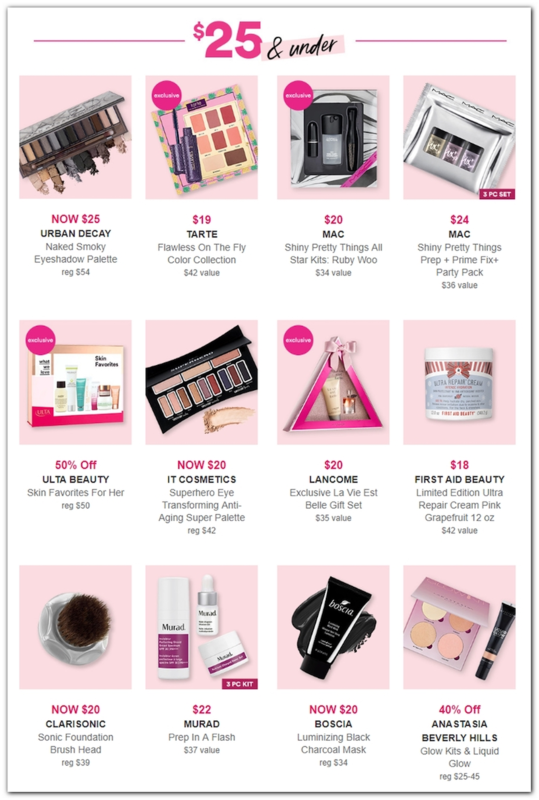 The beauty supply chain is slashing prices on styling tools, makeup, skincare and more. 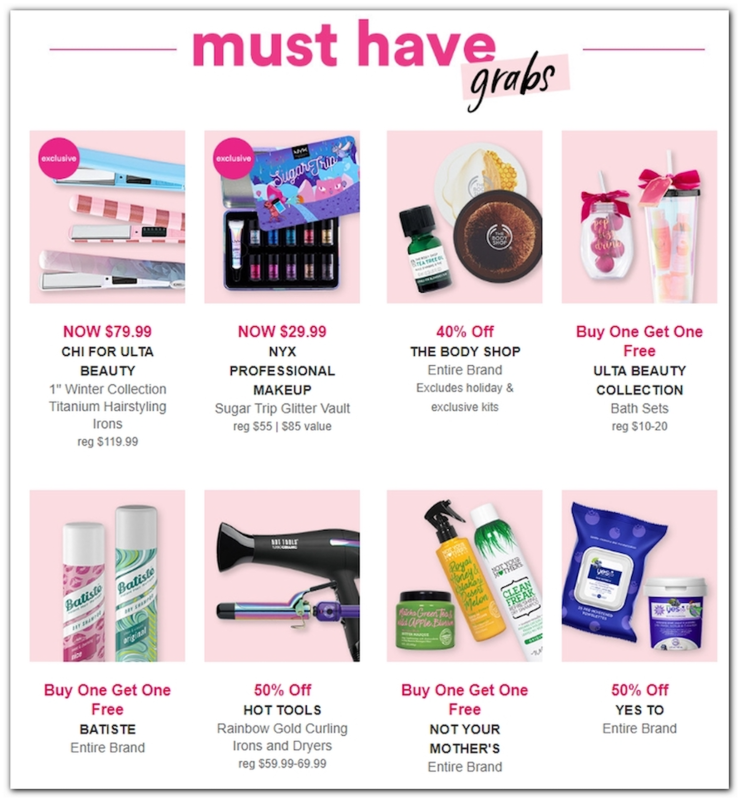 Shoppers will find a few exclusive offers in the mix, too. The sale kicks off online on Thanksgiving at 5 p.m. Central time. Hours: Doors open at 6 p.m. on Thursday, Nov. 22. Hours may vary at some locations. 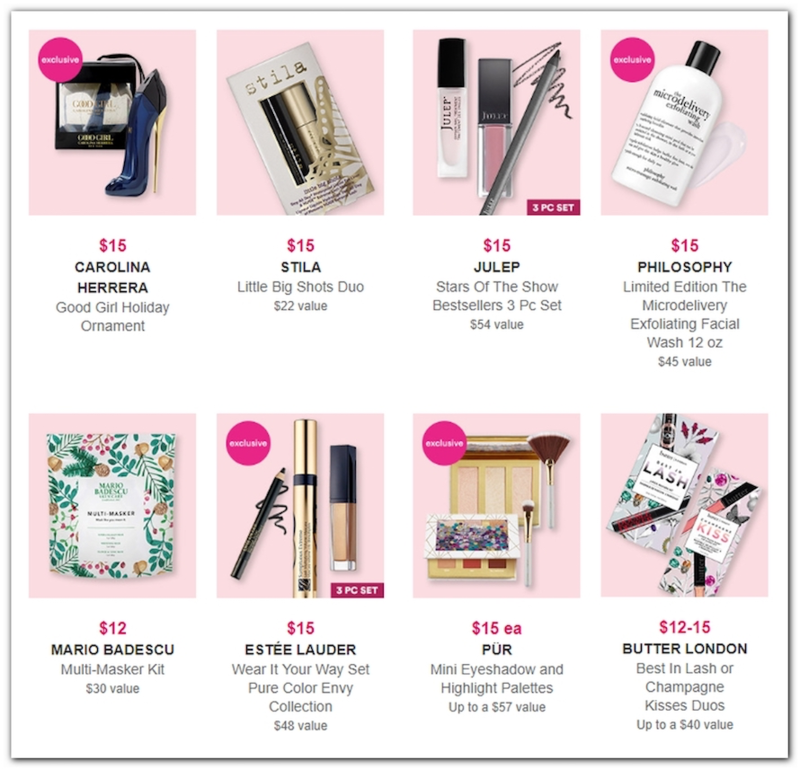 Select mascara from Tarte, Urban Decay, Smashbox and other brands for $10 (regularly $19 to $24). 50% off Revlon one-step hair dryers. 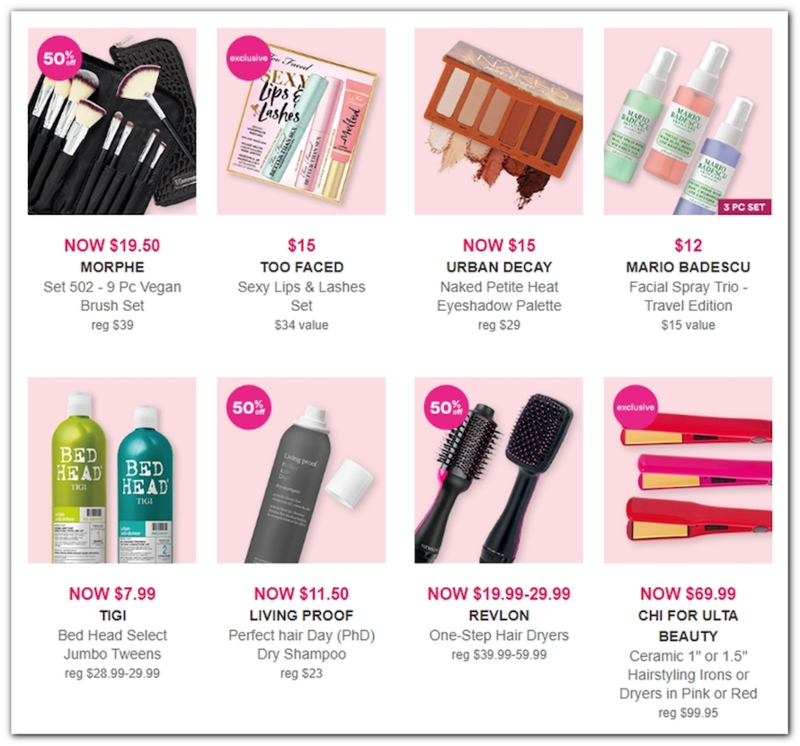 Ulta Beauty Collection lip glossary for $9.99 (regularly $16). 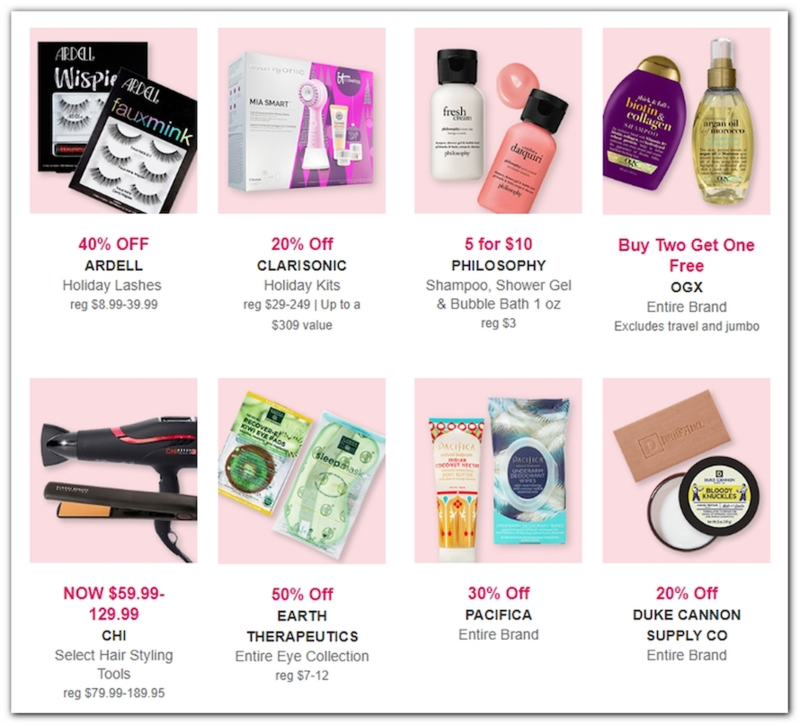 Eco Tools fan favorites beauty kit for $9.99 (regularly $19.99). Urban Decay Naked Smoky Eyeshadow palette for $25 (regularly $54). 40% off The Body Shop items. 30% off Pacifica brand products. 30% off Bio Ionic items. 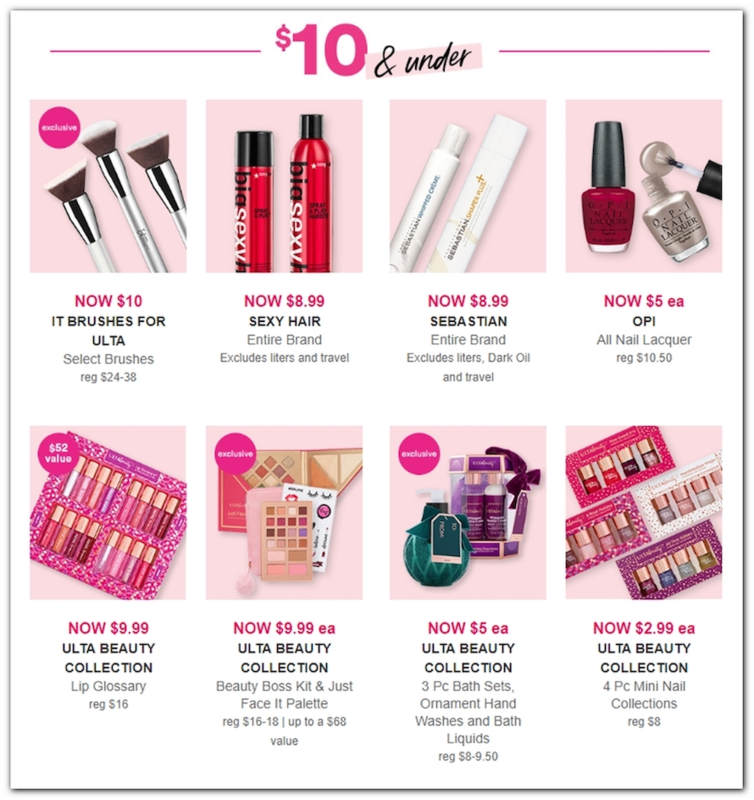 Get a free 9-piece makeup gift set with $60 purchase (online only). In 2017, the beauty retailer opened its doors from 6 p.m. on Thanksgiving until 2 a.m. on Black Friday, then again from 6 a.m. to 10 p.m. later that day and from 9 a.m. to 9 p.m. on Saturday. 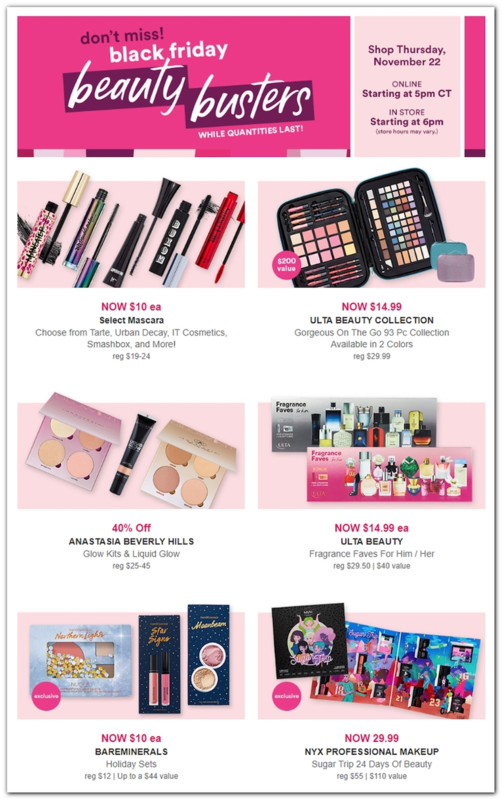 Shoppers could also check out Ulta’s “beauty busters” online. 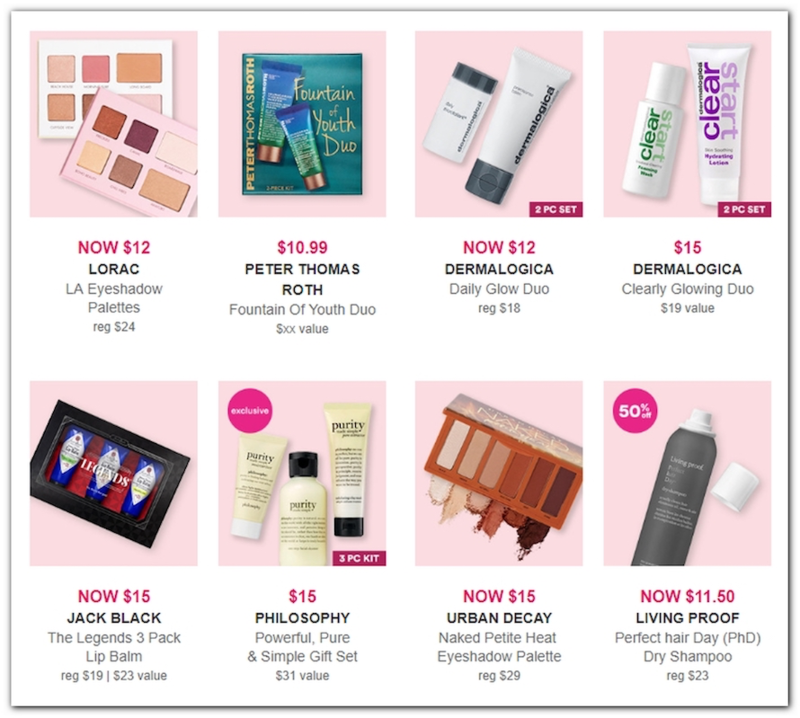 Urban Decay nocturnal shadow box for $14.50 (regularly $29). 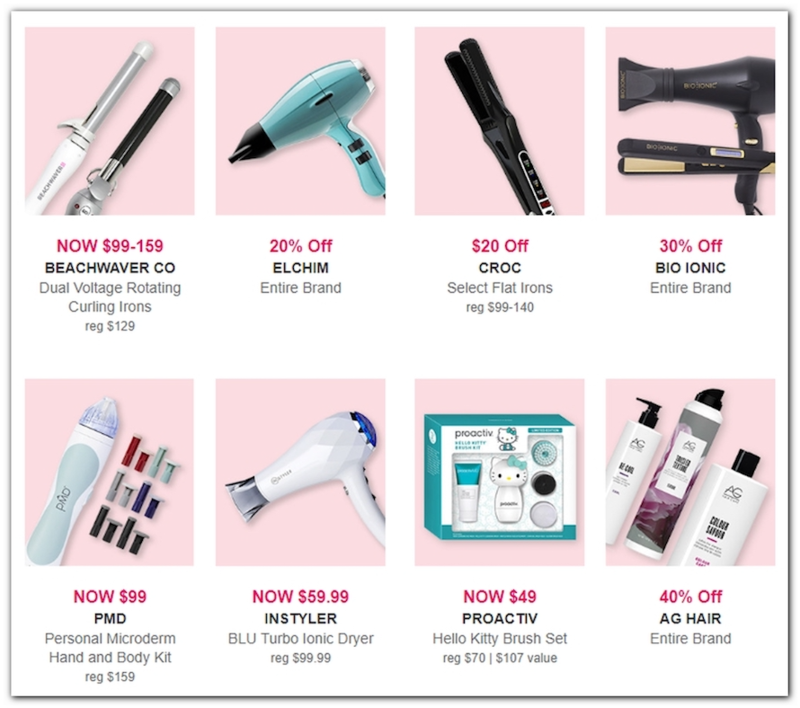 Chi for Ulta Beauty 1-inch hair iron for $69.99 (regularly $99.95). 40% off select The Body Shop products. 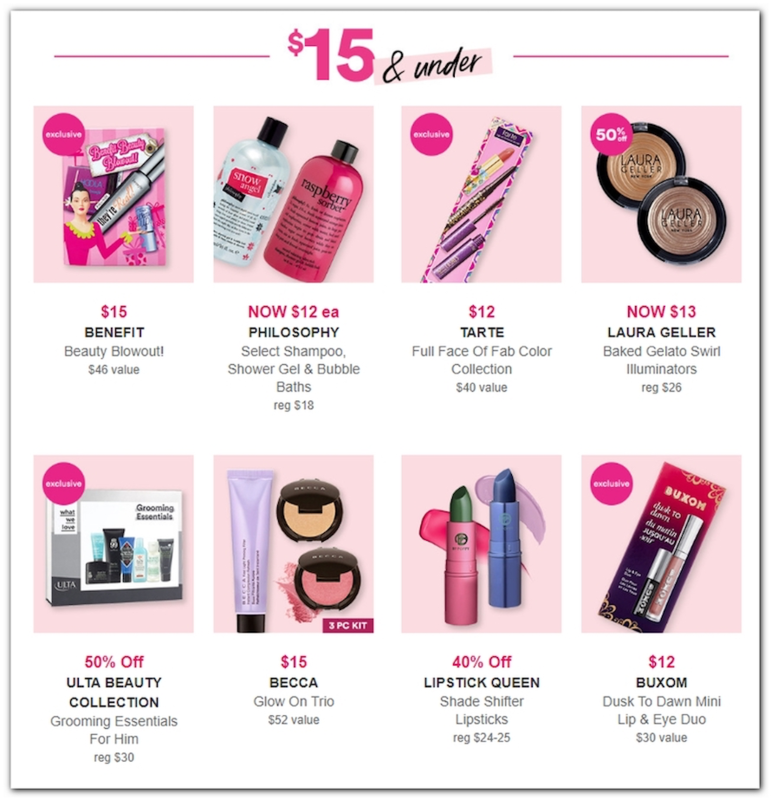 Five for $5 stocking stuffers, including makeup, face masks and bubble bath. Select OPI Classic Nail Lacquers for $5 each (regularly $10.50). Free tumbler and coaster set with qualifying fragrance purchase of $40 or more.